Once again the Milwaukee Bucks will NOT have a representative in the All-Star Game, and I’m okay with that. Sure, I would love to see my team represented, but if they didn’t deserve it they didn’t deserve it. 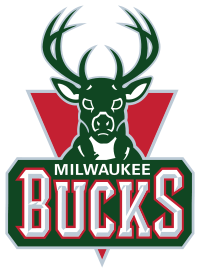 The last time Milwaukee was represented in the mid-winter classic was the 2003-04 season when Micheal Redd made the squad. 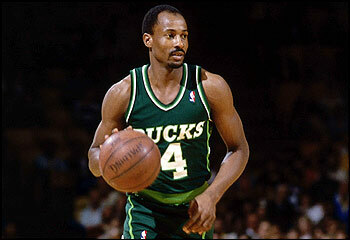 The last time a Buck started that game was Sidney Moncrief in the 1985-86 season. It’s not that Monte Ellis and Brandon Jennings werent worthy, just not worthy enough. Considering the market that they play in, they have to be extra good. So good that not only fans here in Milwaukee are excited but fans across the counrty are as well (how many LeBron Heat jerseys do you see at Bucks home games?). All in all, both rosters are solid. There are always going to be someone left out, because it’s impossible to make everyone happy. If they tried to that each team would have 40 players, and become as ridiculous as the All-Star Game in major league baseball, where every team has a representative. The NBA has it right, in order to make the team you basically have to be the BEST of the BEST, not just the BEST on your team. Maybe next year will be the “Year of the Buck”. This entry was posted in Milwaukee Bucks, NBA, sports and tagged All-Star Game, Brandon Jennings, Milwaukee Bucks, Monte Ellis, NBA. Bookmark the permalink. They better replace Rondo with Jennings!